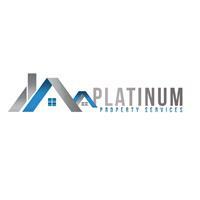 Platinum Property Services - Roofer based in Coventry, West Midlands. Platinum Property Services is a family run business with years of experience throughout the roofing industry. Our loyalty in such a competitive market place is built upon the principles of service, quality, cost and honesty. We provide an individual service to all our customers. All our work is fully guaranteed whether it's a new roof or a simple tile replacement etc. As a family run business, we are well placed to work within budget. All work is undertaken by ourselves as we don't use contractors and there is no payment of any job until complete and you the customer are fully satisfied. Whatever your project, we will attend your property by appointment and provide a quality and accurate survey of the job in hand then provide you with a very competitive quotation to complete your project to the highest standards. Out reputation and your complete happiness means everything to us all good companies are built in reputation and your only as good as your last job.